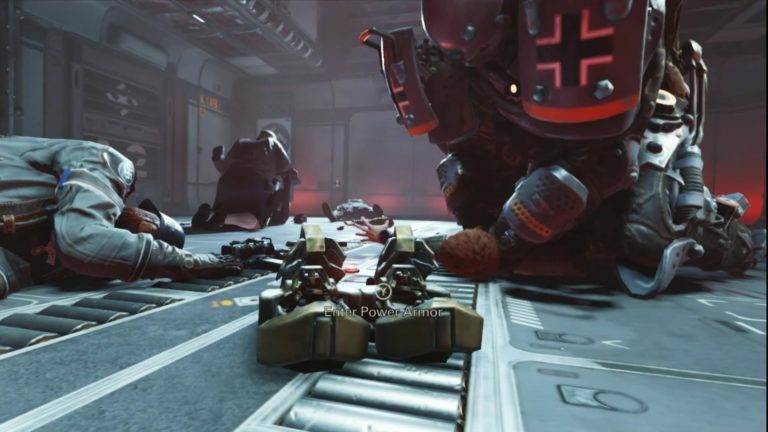 Here's 25-minutes of direct-feed Wolfenstein 2 Switch footage | PowerUp! In September last year, Nintendo used a Direct to announce Wolfenstein II: The New Colossus was coming to Switch. Now, we finally have some direct-feed Wolfenstein 2 Switch footage. The footage comes courtesy of GameXplain and was captured at PAX East 2018. While we’ve had off-screen footage before, this is the first chance to see Wolfenstein 2 Switch footage directly. Amazingly, the Switch version of the game appears to run without a massive reduction in quality or fidelity. Wolfenstein 2 on Switch was announced at the same time as DOOM. DOOM was released late 2017 for Switch and while it ran well, it was a clearly inferior version. 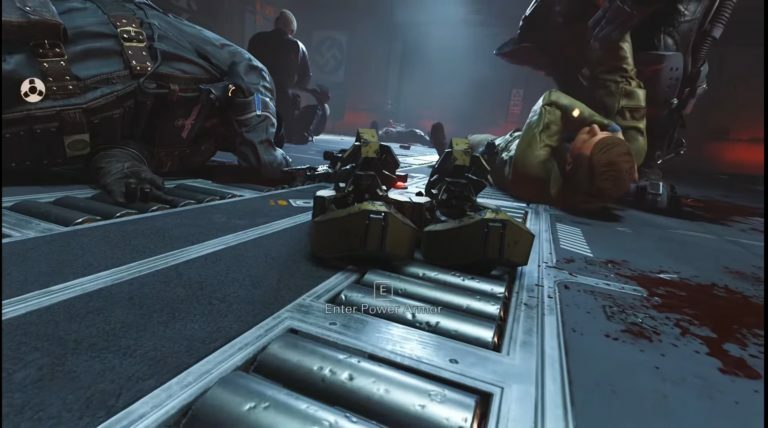 The same looks not to be true of the Wolfenstein 2 Switch footage. The 25-minutes we have to show, courtesy of GameXplain, looks incredibly impressive and the frame-rate looks very solid. Although there are some minor framerate hiccups, for the most part, it runs super smoothly. Below, you can see a screenshot of the PC version running on the high settings and the Switch version. The Switch version appears to run on low-medium settings. The Wolfenstein 2 Switch footage is running in docked mode so we’ve yet to it in handheld mode. It’s likely that when in handheld mode, Wolfenstein 2 will run at 720p and 30fps. When in handheld mode most Switch games are downgraded to these stats, but even so, Wolfenstein is likely to impress. Wolfenstein 2 will launch for Switch in 2018.